I bet that the first thing that comes to your mind when you think of chicken meat is chicken leg. Yes, the chicken leg, which comprises of two segments (drumstick and thigh), is the tastiest part of the chicken. 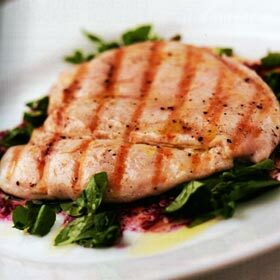 Although most people find that chicken legs (dark meat) are juicier and tastier than the chicken breast (white meat), they also contain more fat and calories, making the breast meat healthier to eat. However, many don't enjoy eating chicken breast. Chicken breast is low in calories and contains less fat than chicken legs. 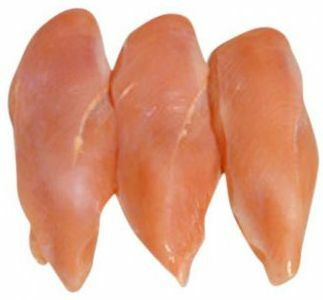 Chicken breast contains imidazole dipeptides, which was found to be an anti-fatigue substance. According to a Japanese study of health subjects, people taking a chicken breast extract containing imidazole dipeptides demonstrated less fatigue. Blood lactate levels decreased significantly as well as shown on an exercise test. 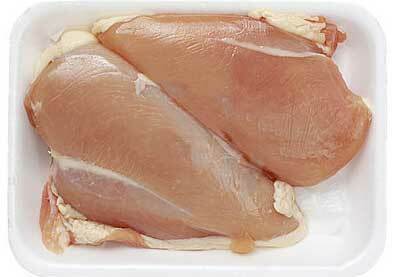 Inosinic acid contents in chicken breast are responsible for the balance and intensification of meat taste. Despite all of the health benefits you can get from eating chicken breast, chicken legs are still more popular as they taste better and cook better. Because chicken breast has low fat, it often comes out dry, chewy, and bland, when cooked. This is the biggest ordeal for many people. However, if you know how to make the chicken breast as juicy as chicken legs, you will love to buy chicken breast meat as it is healthier and has more nutritional value. The problem with chicken breast is that it can easily lose its moistness when cooked. This is because the breast meat has more muscle membrane than the legs and thinner meat texture (aside from having less fat) than the leg muscle. Therefore, the moist from breast meat can easily escape. This is the secret. You'll have to prevent the moist from escaping! One way to ensure a tender, juicy, moist, and flavorful chicken breast is to 'brine' and marinate it before cooking! Soak the chicken breast in a solution of salt and water for about one hour in the refrigerator. The meat will begin to absorb extra moisture and water through the process called osmosis. This will make the water difficult to escape from the meat when cooking. After brining, pound the chicken breasts to an even thickness using the handle or flat of a knife. Cut the breast meat into your desired shape and gash its surface with a knife or stab it with a fork. This will help the marinade get in deeper. Marinate the breast meats in a stainless container with soy, sugar, onion, garlic, pepper, and other marinating ingredients. Set aside for overnight. Proceed to cook your chicken breast meat to your desired doneness. As long as you don't overcook it, you'll have a terrifically moist and tender chicken breast meat that you may have never seen and tasted before. There are more chickens than humans on earth. It takes only 21 days to develop a new chicken whereas it takes 9 months for each human to develop. The fear of chickens is called Alektrophobia. India is the only country in the world where McDonald's does not serve beef. They only serve mutton, fish, and chicken. The greatest number of yolks ever found in one chicken egg was nine, which reported to happen in Mount Morris, New York, in 1971. The largest chicken egg ever recorded was nearly 12 oz., measuring 12 1/4" around, which was laid by a Black Minorca in Lancashire, England, in 1896. The record for laying the most eggs in one day is 7.